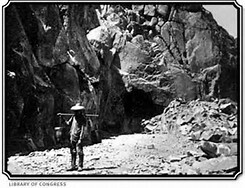 This exhibit has two parts the first is a visual understanding of the incredibly difficult work accomplished by Chinese laborers that were required to build the railroad from California across the Sierra’s and ending at Promontory Point Utah. 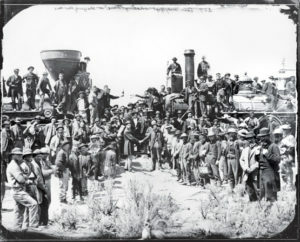 At this famous meeting, a golden spike was driven to celebrate joining of the east and west. Sadly none of the Chinese workers who were critical to this success occurring are shown in the famous photo. 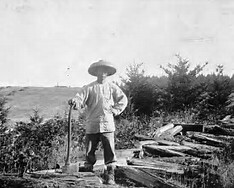 The second part of the exhibit covers the story of the 12,000 Chinese men who built the railroad. What happened to them? Did they return to China? Did they settle in California? 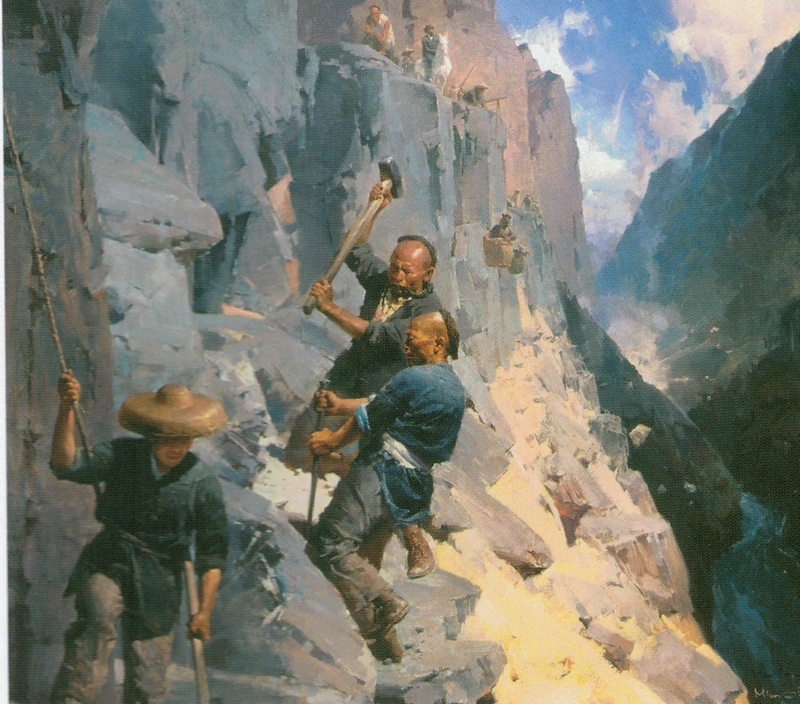 These and other interesting details complete this exhibit and give a new insight into the Chinese that connected the west. Thank you to our exhibit and program sponsors.